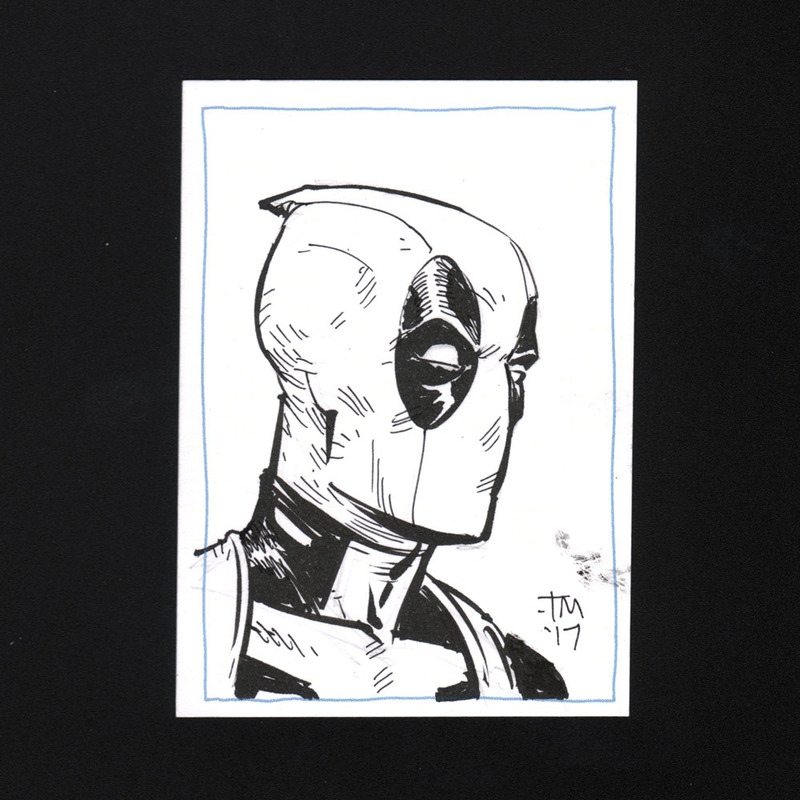 Since i didn't get one out on Friday, i made sure to double down for you guys today and made Monday a Two-fer day, with this sketch of your pal and mine, DEADPOOL! This one's 8.5" x 9", inks and Copic Markers on chipboard. The original for this one can also be found in the STORE, just like the rest of 'em. Today's Sketch of the Day is your pal and mine, your friendly neighborhood Merc with a Mouth, DEADPOOL! This one's 8.5" x 9", markers on chipboard. He's waiting to come home with you. Just my STORE!